Sir Roger Moore has predicted ‘Skyfall’ is going to be a huge hit following a private screening over the weekend, and has nothing but good things to say about the incumbent 007. 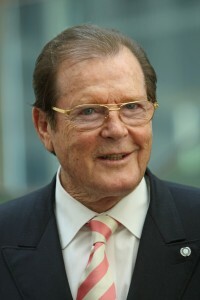 Speaking at ‘An Evening With Roger Moore’ at the Rose Theatre in Kingston-Upon-Thames last night Sir Roger revealed, “I was invited on Saturday morning to a private screening of ‘Skyfall’. “Now, I have always said that the best Bond was obviously Sean, but I’m happy to say when ‘Skyfall’ is released on October 26, it is going to be the biggest [Bond film] there has ever been in the cinema, and he [Daniel Craig] will go down as the best Bond in history.